No neighbors around and a lot of space for everybody! 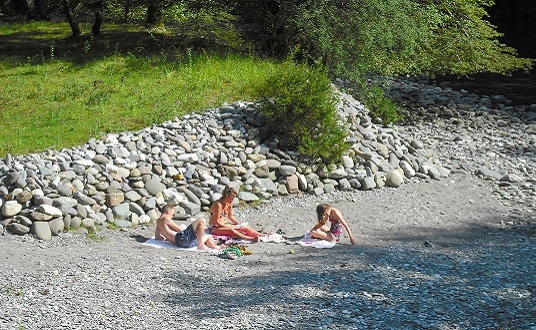 All our guests (B&B and self catering gites) have free access to our private riverbanks along the beautiful Aspe river. ➔ Intimacy is guaranteed even during the high season! Our eco-friendly and spacious outdoors offer space for everybody. Several longchairs are arranged at the back of our garden. 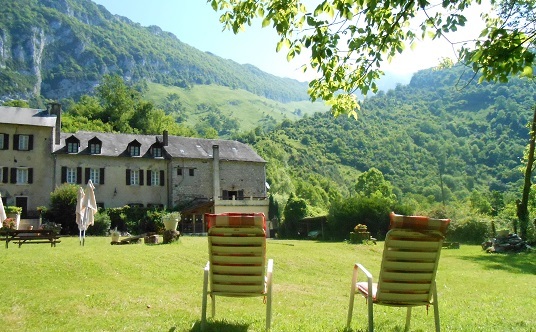 They offer great panoramic views of the Pyrenees. 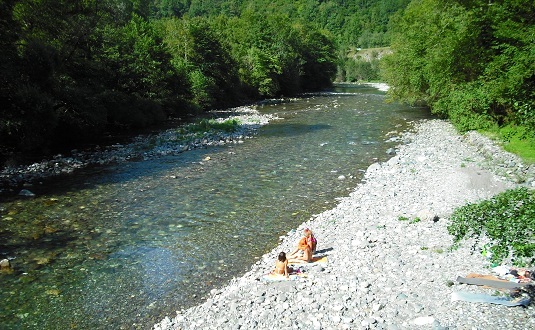 Our beautiful riverbanks along the Aspe river!